When I say, "Happy Thanksgiving," I'm not just generically thankful. And I don't mean just any "god," I mean the Lord Jesus Christ. "Yes, they knew God, but they wouldn’t worship him as God or even give him thanks. And they began to think up foolish ideas of what God was like. As a result, their minds became dark and confused. Claiming to be wise, they instead became utter fools." Here's why I'm so thankful. 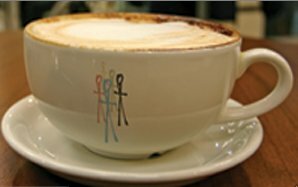 Get blog posts from Cup O' Joe in your email inbox! Click the link below. Submit your email. Then check your email and confirm your subscription. You can unsubscribe at anytime.